There are tons of courses out there (both in person and online) that teach public speaking. Some offer several hours of video, others offer an ebook. What I offer is an easy-to-follow 6 step process complete with worksheets that you can use again and again for any speech you give. Presentation at work? Use the process. Conference talk? Use the process. No more starting from scratch for every speech. DO YOU WANT YOUR VOICE HEARD? Teach the Geek to Speak will cover what you need to know to become an effective public speaker. Someone who people will put down their phones to listen to. Visualizing success, analyzing your audience, watching your fillers - I cover all that and much more. If you keep finding yourself making excuses, this assessment will help you understand the cause and better understand the severity of not activating. Using this tool will help you refine your speeches and take out all the fluff. This words per minute script will help you modulate your speech based on the audience you are addressing. I feel more relaxed about [public speaking]; maybe even a little excited to try some things out. I used to think there was an absolute way of doing a speech right, but now I see that there are probably infinite ways of doing a speech right. I picked up some good pointers and feel I will be more confident next time I need to give a talk in public. Your course helped me to understand a better way to approach [public speaking] and it makes me feel more at ease. You made it more down to earth and easier to understand. Neil Thompson is a speaker, writer, and entrepreneur. He started out his career as a product development engineer, earning bachelor’s and master’s degrees. Eventually, he went on to become a registered professional engineer. 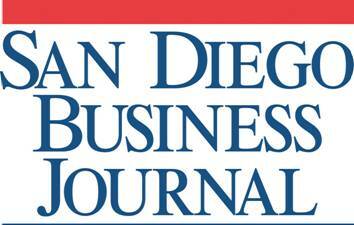 Neil has been published in the San Diego Business Journal, Mechanical Engineering magazine, Tech Directions magazine, and PsychCentral. He started his journey in public speaking out of necessity. After one too many failed presentations in front of management, he knew that he had to work on his public speaking skills. His job depended on it! Currently Neil has his own ideas on what makes an effective speaker, specifically for STEM professionals like himself. He has presented at SCORE San Diego, the Society for Biomaterials, and the Biomedical Engineering Society, among others. In addition to his public speaking appearances, Neil also hosts a podcast that focuses on public speaking, and he writes a weekly blog on public speaking topics. When I worked as an engineer, I struggled with public speaking, inundating my audience with data, graphs, charts, and every buzzword that I could muster. “We need to shift the paradigm with this disruptive technology, which, at the end of the day, is sure to gain traction by year’s end.” Maybe I wasn’t THAT insufferable! I thought I had to use jargon to get my point across and to hide the fact that I was sweating entire oceans under my shirt. I had to grab the audience's attention, but didn’t know how. I never prepared for speeches, but always wondered why they never went as well as I had hoped. Through trial and error, constructive feedback, and self-reflection, I developed a process that helped me get much better at giving speeches that got results. No more staring into space. I want to help you, too. Here’s my promise to you: If you follow the process, use the worksheets, and do the exercises, your public speaking will improve or your money back – no questions asked. Public speaking is the #1 fear of most people. Let Teach the Geek to Speak help you take that fear off your list.